1.7 "Ponca City Still a Competitive Refinery"
Conoco Inc. and Phillips Petroleum Co. announced on November 18, 2001 that their boards of directors have unanimously approved a merger of equals and signed a definitive merger agreement. The merged company became the third-largest integrated U.S. energy company based on market capitalization and oil and gas reserves and production. Worldwide, it became the sixth-largest energy company based on hydrocarbon reserves and the fifth-largest global refiner. Upon completion of the merger, Archie W. Dunham, Conoco chairman and chief executive officer, would serve as chairman of ConocoPhillips and delay his scheduled retirement to 2004. James J. Mulva, Phillips chairman and chief executive officer, would become president and chief executive officer of the combined company, and also become chairman upon Dunham's retirement. The Associated Press reported that analysts described the combination as a deal done to survive. If Phillips and Conoco hadn't decided to join forces, analysts said they risked losing market share to competitors in an unhealthy business climate for all but the largest petroleum companies reported Alan Clenndenning. "This is absolutely a matter of survival - survival nor necessarily to thrive, but to guarantee they will survive, said Fadel Gheit, an analyst at Fahnestock & Co. In a conference callwith analysts, top Phillips and Conoco officials said the merger would allow them to save at least $750 million annually in part through the elimination of an unspecified number of jobs from the company's combined roster of 58,000 employees. "You cannot say you are cutting cots if you cut less than 5 percent, said Gheit. "And if you want to be aggressive with a sharp knife you can cut 15 to 20 percent, which I see as unlikely." Officials took pains to describe the deal as a merger of equals, tough under its terms, Phillips shareholders wil end up with a 56.6 percent stake in the new company. Businessweek reported in 2005 chief executive officer Mulva had conceived the bold $16 billion deal that created ConocoPhillips in 2002 that vaulted it into the league of energy giants so large they're called supermajors and was an aggressive risk-taker willing to place multibillion-dollar bets in the most volatile places on earth. All of the industry's big players are swimming in cash, reported Businessweek but Mulva is plowing some 70% of the company's expected cash flow back into the business, compared with 60% at Chevron Corp. and 35% at Exxon Mobil Corp.. "We're aggressive about where we want to be five years from now," said Mulva. "Even with the benefit of hindsight, Mulva has done a lot right," wrote Mark Morrison. "His aptly timed Conoco acquisition put the company in a position to benefit from a new global dynamic of rising energy demand that could last into the next decade. And his bold plans may ultimately prove that he adjusted more wisely and quickly to the changing world of energy than the other majors. Right or wrong, no one will accuse Mulva of being shy." According to Jim Mulva's presentation to financial analysts on July 14, 2011, ConocoPhillips' view was that the company needed to go up in size. That is one of the reasons for the merger -- to compete around the world. "We also felt, looking back 10 years ago, that there is going to be consolidation in the industry. And that made a lot of sense that we were pretty bullish about oil prices and we feltthe supply and demand situation of oil would get tighter with time." KOCO reported on November 19, 2001 that merger of Conoco and Phillips in 2001 stunned residents in both Bartlesville and Ponca City. "This could be a bad deal for Bartlesville," said an unnerved Bartlesville resident Chuck Tate, who realizes how the economic fortunes of his town are tied to the huge oil company based. "I hope not, but I'm expecting the worst." Bartlesville's fortune has long mirrored the ups and downs of the company founded in 1917 by brothers Frank and L.E. Phillips. There was downsizing after the 1980s oil bust. Bartlesville embarked on a sustained effort to diversify its economy, luring new businesses and factories but nothing to compare to Phillips. During the oil boom 20 years ago, Phillips employed 9,000 locally, half the city's workforce. "Phillips has obviously been a huge part of this town, in my lifetime anyway," said local travel agency executive Gary Spears. "It's scary." Spears said all of his business is directly related to arrangements with Phillips or tied indirectly to travel by Phillips' employees or townspeople who benefit from the company. "When they say the Phillips' headquarters is not going to be here, it's a huge announcement," Spears said. "I don't know what that means at this point. Nobody does." ConocoPhillips will based in Houston, home to Conoco. It will keep a reduced presence in Bartlesville, Okla., where Phillips employs 2,400 at its headquarters and research facility. "This is really a growth story for Conoco and Phillips," said Conoco CEO Archie Dunham who is delaying a planned retirement to serve as chairman of the combined company. Phillips chairman James Mulva will be chief executive of the company, and become chairman when Dunham retires in 2004. Gov. Frank Keating said the merger was "unavoidable to ensure the survival in Oklahoma of both companies." "While some job reductions will result, I have assurances from the leaders of the new company that it will maintain an even stronger Oklahoma presence," he said. Also affected is Ponca City, 70 miles due west, where Conoco's refinery and offices employ 1,900 of the town's 26,000 people. "One of the great fears we've had in Ponca City was that Conoco might be the victim of a hostile takeover," said Ponca City Mayor Tom Leonard. "Now that they have created the third largest oil and gas company in the United States, that pretty much eliminates that risk." On October 21, 2004 ConocoPhillips announced that it would shut down its demonstration plant eliminating up to 120 jobs. The plant was built to test technology designed to convert natural gas into liquid fuels. "It is never easy tomake this kind of announcement," said George Paczkowski, ConocoPhillips vice-president of downstream technology in Ponca City, "but we've known this demonstration plant was temporary since we built it. The plant was scheduled to close in July, 2005 eliminating 80 full-time positions and 40 contract jobs. Paczkowski said many of the full-time workers would be reassigned to other positions at the company. "We started the plant to prove our technology to turn natural gas into diesel, and then to provide data for the design of a commercial plant," said ConocoPhillips spokeswoman Shanley Wells-Rau. 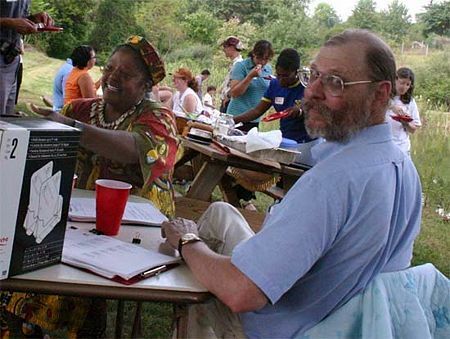 "In 2005, we said that we successfully developed and proved the technologies. But the company never has moved on to build one commercially. It was never meant to be a long-term, commercial plant." The Daily Oklahoman reported on December 20, 2008 that ConocoPhillips had sold the company’s natural gas-to-liquids demonstration plant along with the technology behind it for an undisclosed amount of money. The plant was a demonstration project that opened in 2003 and closed in 2005 and had the capability of producing 400 barrels a day of liquid fuels from natural gas. The buyer was Industrial Properties, based in Kansas City who plan to dismantle the plant to resell its steel and equipment. On November 7, 2008 ConocoPhillips announced that the company was planning to downsize their operation in Ponca City and that all 700 office worker positions in Ponca City were being for relocated to Bartlesville or Houson. On November 8, 2008 ConocoPhillips first announced that all 700 office worker positions in Ponca City are being considered for consolidation or relocation. "Consolidation and relocation are options we're looking at," said company spokesman Tracy Harlow. "Any and all options are still on the board right now." Most of ConocoPhillips' nonrefinery jobs in Ponca City werefocused in the credit card, information technology, facilities and other support operations, she noted. A steering committee, including ConocoPhillips managers, was looking at options. The review started November 2008 and had not narrowed into specifics so far, Harlow said. The 750 people employed in refinery operations would not be affected by the review. Business Week reported that Ponca City took a hit from ConocoPhillips in February 2009, when the company said it planned to move 750 non-refinery jobs out of the city of about 26,000 to Bartlesville and Houston. But the refinery has remained a key part of ConocoPhillips' operations, said ConocoPhillips spokesman John Roper. Rich Cantillon, president and CEO of the Ponca City Chamber of Commerce, said ConocoPhillips upgraded the refinery last year and is performing another upgrade this year. No new oil refineries have been built in the U.S. since 1976, which is another positive sign for the Ponca City facility's future. "It's not going anywhere," Cantillon said. "We are good to go. Ponca City is a happy, good community. ... It's fascinating to see how (the split) will all play out, but we'll always have the refinery. There won't be any more job loss for Ponca City when it comes to (ConocoPhillips). There could be job growth." City officials were disappointed in ConocoPhillips' announcement that 750 jobs will be relocated from Ponca City, but expect the community to bounce back. "We would have liked to have seen them expand here. We have plenty of office room for them and had hoped they would grow their operation here," said City Manager Craig Stephenson. "We also understand it's a corporate decision." Mayor Homer Nicholson said Conoco has been a good corporate citizen and he is glad ConocoPhillips has decided to leave Oklahoma's largest refinery in Ponca City. "We are thankful," he said. "We were hoping the business optimization study would give them a reason to expand their business in Ponca City. Unfortunately, that did not happen," Nicholson said. "We have weathered larger reductions in force than this one," the mayor said. 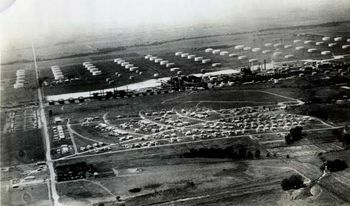 The Tulsa World reported in 1009 that Conoco employed more than 5,000 people in Ponca City before the oil bust of 1985, the year Dave Myers, executive director of the Ponca City Development Authority, pinpoints as "the beginning of the end for us being a company town." The end itself came in 2002, when Conoco merged into ConocoPhillips and began transferring departments en masse to the Phillips campus in Bartlesville. In November 2009, the company announced it would probably transfer the final 700 office jobs out of Ponca, leaving only 750 jobs in the refinery. Until a few months ago, Fred Holmes worked in research and development with more than 100 other technicians. Then he and his wife had to choose between early retirement or transferring to Bartlesville, an hour and 20 minutes east of Ponca. "It was a 12-hour day any way you look at it," Holmes says. "She couldn't put up with it then, and I didn't want to do it now." After a few weeks, his wife quit the company and invested in a downtown bridal shop, Affairs to Remember. Now Holmes works there, too — recently moving the shop to a larger storefront and adding a catering service. But Homes still resents the company for, as he puts it, "abandoning Ponca City." While he had a small business to fall back on, Holmes has watched friends and co-workers move away to look for jobs elsewhere. "You used to be able to wake up in the morning and know you had a job and know that your family would be provided for," he says. "Now, nobody knows what's going to happen next." Mike Dove took early retirement when the company moved his entire department to Bartlesville. When he grew up during the '60s, a job with the company seemed like "the ultimate prize," Dove says. Like many of his classmates, Dove went off to college not to escape Ponca City, but so he could come back and stay. "You could pretty much count on a job for life, and it gave you a sense of security and stability. "By the '90s, that wasn't the case at all." For his own two children, both now adults, staying in Ponca City was never an option. "Finding a job," Dove says, "pretty much means going somewhere else." 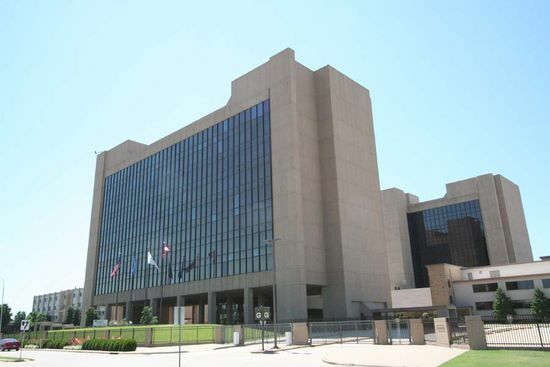 KOCO reported on November 7, 2008 that City development executive director David Myers said the diversity of the economy would lessen the effect of possible job losses. "The impact of this economically is not nearly as severe as the impact emotionally," said Myers adding that city leaders didn't want to depend on a single employer that could make or break the community and that other employers also make up a big portion of the economy. "Sensor testing is a $6 billion worldwide industry, and we're the only place in the world where you come and have your sensor tested by a neutral third party," Myers said. "Our real concern is with the individual families that might be impacted by this, and we want to make sure that there are some viable alternatives for them to stay here in Ponca City because most of them do want to stay here," Myers said. Barber Barney Barnwell said he has been in this situation before and so has the community. "We can survive," he said. "Ponca can survive." In May 2010, there was a lot of discussion in Ponca City about the possibility that ConocoPhillips was interested in selling its Ponca refinery to another oil company and getting out of Ponca City especially after ConocoPhillips Chairman and CEO Jim Mulva met with corporate analysts in October 2009 for the ConocoPhillips Q3 2009 Earnings Call and announced that the company's capital budget would decrease by about 12 percent in 2010 and that ConocoPhillips planned to divest $10 billion in refining, exploration, and production assets in a bid to improve its financial position. At the earnings call on October 29, 2009 Mulva was asked specifically about the possibility that ConocoPhillips might divest itself of some of its refineries and Mulva said that the company was "going through a more strategic assessment [of its refineries] because there are some that are less sophisticated. We will think long-term when the market gets a little bit better about selling some refineries. We think that is going to be subsequent to the next two years for 2012, 2013 and we have in mind a number of facilities that we think might have some value to someone else." The Tulsa World and the Bartlesville Examiner-Enterprise report that Mulva appeared before a packed house at the Bartlesville Community Center on May 21, 2010 to present the annual company update, talk about ConocoPhillips' plans for the future, and clarify the company's plans for Bartlesville and for the Ponca City refinery. Mulva told his audience that employees in Bartlesville and Ponca City have little to fear. Although ConocoPhillips announced last year that it was tranferring or eliminating all 700 non-refinery jobs in Ponca City, ConocoPhillips plans to keep the Ponca City refinery with it's 750 employees. "We will retain only the largest and most sophisticated refineries," Mulva said. "Ponca City is a large and sophisticated refinery that is important to our refinery portfolio." Mulva added that he didn't forsee any change in the 3,100 ConocoPhillips employees in Bartlesville, and that there was actually room to accommodate an additional 800 to 1,000 more employees in Bartlesville. "There's no change in our long-term plans for Bartlesville," Mulva said. "It's a very important global support center for ConocoPhillips." "Ponca City Still a Competitive Refinery"
The announcement reinforced a statement made in February 2009 at the time that the announcement was made that ConocoPhillips non-refinery employees in Ponca City would be relocated over the next three years. "The refinery in Ponca City continues to be a competitive refinery," said John A Carrig, President and Chief Operating Officer of ConocoPhillips, when he talked to students as part of the Distinguished Speaker Series at the Michael F. Price College of Business at Oklahoma University. "Like all of our facilities, we are continuing to make investments to enable it to thrive. I don't see any particular change in the outlook for it." Jim Mulva reiterated in his conference call to financial analysts on July 14, 2011 that in answering a question by Ed Westlake of Credit Suisse that "if we have an alternative to sell one of the less sophisticated refineries in a way, we are not going to delay until this is done accomplishing and doing that." ↑ Tulsa World. "Ponca City losing hundreds of ConocoPhillips jobs" February 27, 2009. ↑ Petroleum News. "Conoco and Phillips agree to merger of equals, Mackenzie gasline priority for Conoco Chairman Archie Dunham prior to merger" November 18, 2001. ↑ Wikipedia. "ConocoPhillips" retrieved April 23, 2012. ↑ Pittsburgh Post-Gazette. "Analysts: Conoco-Phillips merger about survival" by Alan Clenndenning. November 20, 2001. ↑ BusinessWeek. 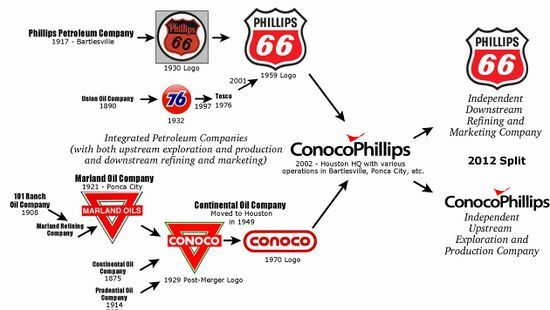 "ConocoPhillips: The Making Of An Oil Major" by By Mark Morrison. December 12, 2005. ↑ KOCO. "Phillips-Conoco Merger Stuns Bartlesville" November 19, 2001. ↑ Victoria Advocate. "ConocoPhillips to close Ponca City demonstration plant" October 21, 2004. ↑ The Daily Oklahoman. "ConocoPhillips sells gas demonstration plant in Ponca City" December 20, 2008. ↑ Tulsa World. "ConocoPhillips jobs in jeopardy" by Rod Walton. November 8, 2008. ↑ Business Week. "Okla. towns eye split of ConocoPhillips operations" by Murray Evans. July 14, 2011. ↑ The Ponca City News. "City Leaders React To Announcement" by Beverly Bryant. February 17, 2009. ↑ Tulsa World. 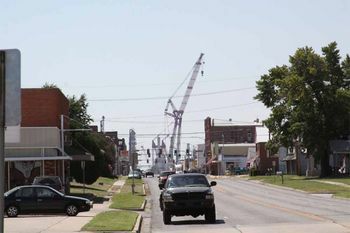 "Losing 'the company' changes Ponca City" June 28, 2009. ↑ KOCO. "Ponca City Frets Conoco Job Cuts" November 7, 2008. ↑ CEO World. "U.S. oil major ConocoPhillips plans to divest $10bn in assets, cut spending" by Hendrik L Clarke. October 7, 2009. ↑ Seeking Alpha. "ConocoPhillips Q3 2009 Earnings Conference Call" October 28, 2009. ↑ Facebook. "ConocoPhillips Update Forum" May 21, 2010. ↑ Bartlesville Examiner-Enterprise. "Update on strategy" May 23, 2010. ↑ Price College of Business. "John Carrig Speaks to Students, Alumni and Faculty as part of the Distinguished Speaker Series" Februaru 27, 2009. This page was last modified on 19 April 2014, at 15:27.